Those are the two main substances that are ''psychoactive'' and they do different purpose and have different properties. As the legal use of marijuana and other cannabis products grows, consumers are becoming more curious about their options. This includes cannabidiol (CBD) and tetrahydrocannabinol (THC), two natural compounds found in plants of the Cannabis genus. THC is the main psychoactive compound in marijuana. It can be consumed by smoking marijuana. It’s also available in oils, edibles, tinctures, capsules, and more. Read on to learn more about these compounds. While they may have a lot in common, they have some key differences that determine how they’re used. Both CBD and THC are chemically similar to your body’s own endocannabinoids. This allows them to interact with your cannabinoid receptors. The interaction impacts the release of neurotransmitters in your brain. Neurotransmitters are chemicals responsible for relaying messages between cells. The issues of legality for both CBD and THC in the United States are evolving regularly. All forms of cannabis are illegal in states that haven’t legalized it. Marijuana and THC are on the list of controlled substances, so they’re prohibited under federal law. However, 20 states plus Washington, D.C., have passed cannabis-related laws making medical marijuana with high levels of THC legal. The marijuana must be prescribed by a licensed physician. In addition, nine states plus Washington, D.C., have made recreational use of marijuana and THC legal. It still remains illegal federally. In states where marijuana is legal for recreational or medical purposes, you should be able to buy CBD legally. In some states, legislatures have passed laws that make CBD for medical purposes legal. Before you try to buy either product, be aware of your state’s laws. If you possess cannabis-related products in a state where they’re illegal or don’t have a medical license in states where the products are legal for medical treatment, you could face legal penalties. CBD and THC have many of the same medical benefits. They can provide relief from several of the same conditions. However, CBD doesn’t cause the euphoric effects that occur with THC. Some people may prefer to use CBD because of the lack of this side effect. In June 2018, the U.S. Food and Drug Administration approved Epidiolex, the first prescription medication to contain CBD. It’s used to treat rare, difficult-to-control forms of epilepsy. CBD is well tolerated, even in large doses. Research suggests any side effects that do occur with CBD use are likely the result of drug-to-drug interactions between CBD and other medications you may be taking. These side effects are part of the compound’s psychoactive properties. Neither compound is fatal. However, high THC use may be connected to long-term negative psychiatric effects. This is especially true for adolescents who consume large amounts of THC. Use of the compound increases the risk for some psychiatric disorders, such as schizophrenia. Cannabinoids like THC and CBD are stored in the body’s fat. They can show up on drug tests for several days or weeks after you use them. Not every drug test will be able to detect CBD, but CBD-sensitive tests are available. Most standard drug tests will look for chemicals related to THC, so THC or marijuana use will show up on a screening. Likewise, hemp can produce some THC in addition to CBD, so a test could be positive for THC even if you’ve not used it. Why do people talk about THC content in CBD oil if THC and CBD are two different compounds? CBD and THC are two of the most prominent cannabinoids found in the Cannabis plant. Both marijuana and hemp produce CBD and THC. However, marijuana has a higher concentration of THC. Hemp has a higher concentration of CBD. Because hemp contains more CBD than THC, it’s the ideal source for CBD oil. The average marijuana strain today contains about 12 percent THC. CBD can have no more than 0.3 percent THC. CBD oil may contain small amounts of THC because it’s present in the hemp plant. CBD and THC both have some medical benefits. They’re also both considered safe. Despite that, they remain illegal federally and in many U.S. states. Before you purchase or use any of them, know the laws in your state. Also, consider the possibility for side effects and interactions with other drugs you’re taking. Talk with your healthcare provider if you have any questions. Last edited by Xeno; 10/21/2018 09:26 AM. The legalisation of cannabis is a great step forward for harm reduction. Why? simple... The illegal criminal street weed is not controled so it is not provided the informations about what is in it. Street weeb can contain chemical and toxic substances to make the ''high'' stronger to fulfill a market that customer are looking for the strangest high they can. But not every customer are looking for that. The legal cannabis in Canada come with information ofthe product you buy and the production is monitored by health autorities. For an exemple, I have just ordered weed. But since I use to have mental issues when sominging weed I ask my doctor what variety to be looking for. He said anything with lowest THC and highest CBD. So I founf on a canadian legal seller a cannabis that has 0.7% THC and 11% CBD. When I was smoking high THC cannabis I was not always going well and I could even have issues with sort of toxic psychosis (psychosis made by a substances) wich is a known issue with many people smoking cannabis, psychotic effect because of the high rate of THC. But the CBD is actually good for me and that is what my psychiatrist told me. So having a cannabis with barelly THC and mostly CBD it will give me medical properties instead of just being ''high'' and risk a toxic psychosis. Cannabis even clean and legal MAY NOT be good for you! A lot of people just doesn't fit smoking it just like a lot of people doesn't fit drinking alcohol. Even if you have legal cannabis as a canadian with the cleanest and lowest THC it is possible that you do not enjoy or have good effects from it! If it doesn't fit to you STOP smoking it. If you are from a country in wich it is not legal yet for public market but you can have medical cannabis prescription talk about it to your doctor. They may depending of your medical situation give you an autorisation to smoke or consume cannabis products for medical purpose and depending on your medical issue you may be told something different. Listen to your doctor more than what is written here but more than anything, listen to yourself. We all have a different reaction to cannabis like we all have a different reaction to alcohol, cafein and other substances. We all have a unique biological organism that react differently to substances. Even if not much cases of usage of cannabis showed increasing risk of car accident, it does! I have been aboard vehicles that the driver was on cannabis effect and I can say that the risk is there. Not as high as drinking alcohol and driving but it still there. If you care of your safety and the one of your passenger, do not smoke and drive. I hope cannabis will be legal in your country soon because having access to a clean product that you can choose to percentage of THC and CBD is really great! Last edited by Xeno; 10/21/2018 09:39 AM. 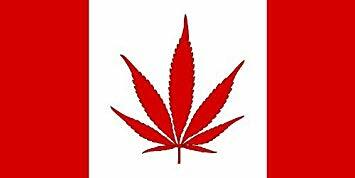 I am canadian so I am legally authorised to smoke cannabis and talk about it! Here as I said I ordered a cannabis with 0.7% THC and 11% CBD and when I will have it, in this post I will talk about what it does to me. Well yes since I can choose the product that will not hurt my mental health. Last edited by Xeno; 10/21/2018 10:01 AM. I am just a the trying stage. I have been smoking criminal cannabis for around 14 years and I know what it is. I am just trying something that my doctor said it could benefit to me wich is CBD. If I have any issue with low THC and high CBD that would mean cannabis is just not for me and I will forget about it! I had issues with THC... But CBD Should help as my doctor said. Cannabis may have spiritual of philosophical benefit. Personally when I smoke cannabis I feel more connection with ideas or the collective cloud just like it was helping me to connect to the cosmos. Some people would say it is psychotic or delusional wich is a bit for me and sometime a lot but I still believe that usage of cannabis can provide spiritual properties. But now since it's legal here I'll buy some weed candies and see how it goes. I do not recomand you use it. For a lot of people there will be no benifit but here in Canada it is considered fine enough to be legal so I can now talk about it just like I can talk about what alcohol does and legally do it. Because I am living in Canada. Your country may be different so be sure you know the laws and criminal codes before you step into anything. I believe cannabis has spiritual or philosophical benefit for using it myself but do not start using it just because I am saying that because you can be on something that is not good for you, especially if you cannot buy clean product that you know what is in it! Yes I will probably try different product too but if nothing is getting better for me using it then I will just take my meds and avoid it. But now that we can choose a clean product and know what is in it, of course I am going to try! THC does but CBD is not really the same. My psychiatrist DID NOT recomand to smoke weed. He recommanded NOT TO USE IT. But I made MY CHOICE to use it so he did HARM REDUCTION ADVICES wich was to use the LOWEST THC combined with the HIGHEST CBD. Legal cannabis and psychiatric case. Why does psychiatrist doesn't know much about cannabis and psychiatrist diagnosis? Now science can move forward in Canada about using cannabis when having a psychiatric diagnosis. I will use for my own plaisure and enjoyment of course but I will also act as guinea pig or test subject of using cannabis with a schizophrenia when low THC and high CBD as recommanded from harm reduction advice! Last edited by Xeno; 10/21/2018 11:52 AM. Since my issues with my illness are not about psychosis (discused in another thread) but all about anxiety that trigers anger management issues ( I cannot tolerate my level of anxiety) CBD should help me! Last edited by Xeno; 10/21/2018 12:02 PM. This thread is not about my anxiety, but whatever. Last edited by Xeno; 10/21/2018 12:55 PM. So your alien physiology can still be affected by earth THC? Your tentacles didn't fall off? If you are not canadian DO NOT BUY from an online canadian cannabis dispensary website. You may first of all being refused by the suppliers and if you even get to order when it will get at the custom if you get caught you will have to face severe criminal charges for importation of illegal substances from another country. Last edited by Xeno; 10/21/2018 01:20 PM. I am extremely pleased that Canada did this. Canada is really going places with an attitude like that. Canada is the sharpest sword of our masterplan and already is ally with my mother alien civilisation.